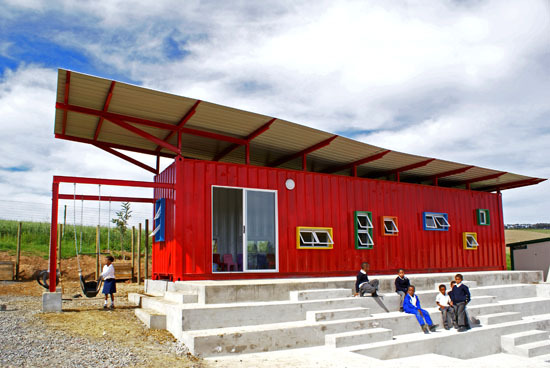 All I could say when I saw this recycled container classroom in South Africa was “Hurray”! 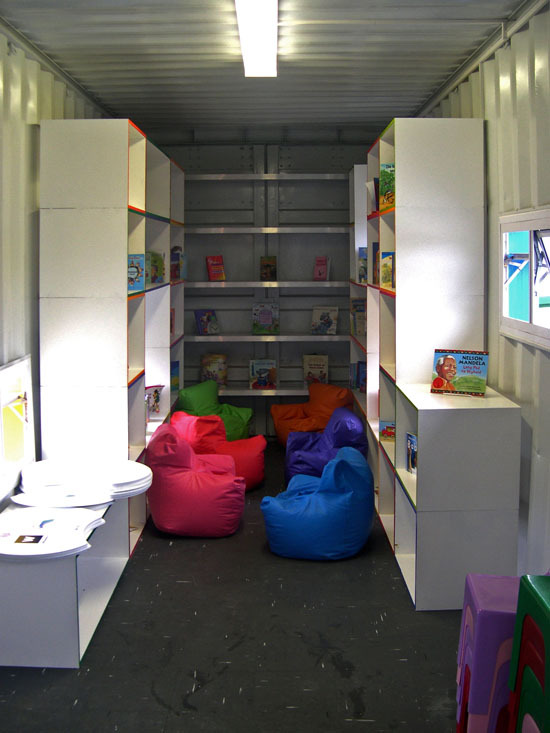 What a brilliant reuse of an old shipping container. 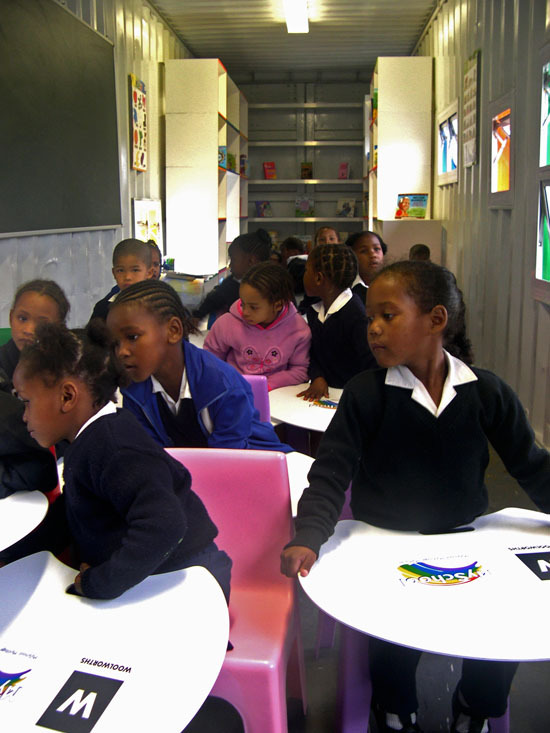 It’s as good of a learning environment than the rundown schools I attended when I was a kid. 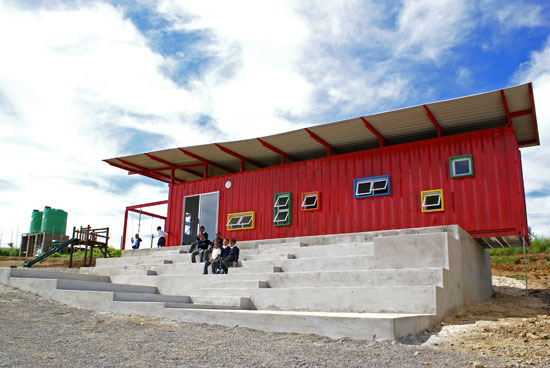 Seeing this container classroom in South Africa, I was also reminded of the house that Once Upon A Time is building – also in South Africa, also using recycled shipping containers. If you haven’t seen this, you must hop over there to have a look – it’s absolutely gorgeous. Tell her I said ‘hello’. ;0) At the moment I'm having a nervous breakdown with these floors. We in the process of thinking up another plan to cover them and then hopefully we can finally move in (again) an get stuck into all the fun decorating parts. Thanks for asking. I immediately thought of your house when I saw this reuse of the container, so I had to share. How are things in the new house?